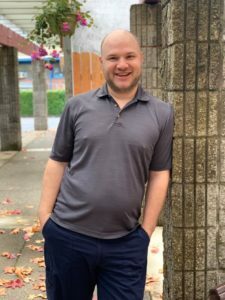 Travis recently graduated with a Masters in Acupuncture from The Oregon College of Oriental Medicine in Portland, Oregon. Travis’ journey to becoming an Acupuncturist started with a personal auto accident in 2012. He had whiplash, anxiety and back spasms, all of which were resolved naturally using Acupuncture. At that time in his life he was in a place where he was looking for a career change. He decided that he wanted to blend his love for Tai Chi and the desire to help other car accident victims with their recovery. This started his life-long practice of pursuing Acupuncture and Wellness as his new passion. He enjoys the practice of Acupuncture because it can give people instant relief from headaches, physical pain, and emotional trauma. Travis specializes in Auto Accidents, Stroke Recovery, Traumatic Brain Injuries, and Musculoskeletal Pain. He is passionate about his wife and young son, as well as Tai Chi, Yoga, and all things Fantasy Football related.